Chronic pain can affect people of all ages, but it can be especially difficult for seniors to manage, especially those whose bodies have been damaged over time from hard work or injury. Though there are many prescriptions and over-the-counter medications available to alleviate chronic pain, many seniors prefer a more natural approach to treatment. The senior care experts at Guelph Home Care Assistance want to share a few common natural solutions for chronic pain. Traditions like acupuncture may be hard for some seniors to understand, but research now shows just how beneficial this holistic treatment can be. This practice can activate receptors throughout the body to release hormones, block pain, and even reduce swelling. It accomplishes this by stimulating specific nerves found just below the skin in areas like the lower back, shoulders, neck, and face. When it comes to natural pain relief, there are few treatments as old and widely respected as heat therapy. A number of interesting processes begin to take place when the body is exposed to heat packs or warm water. The body’s initial reaction is to dilate the vessels to allow oxygen-rich blood into the area. This flow of blood and nutrients can enable damaged tissue to heal itself as quickly as possible. Researchers from the University of Arizona College of Medicine recently discovered this compound could help minimize chronic pain. Resveratrol is unique because it forces the body to produce a protein that can shut down specific pain receptors. In addition to resveratrol creams and supplements, your senior loved one can also gain the benefits of this important compound by eating foods like red grapes, peanut butter, dark chocolate, and blueberries. This bright yellow flower can be found in mountainous areas throughout Canada, the United States, and Europe. Cultures from around the world have been using arnica for thousands of years to treat everything from gout to insect bites, but many seniors are now using arnica to help with chronic pain. Arnica generally comes in the form of an ointment or cream that can be applied directly to the area of your loved one’s body that is in pain. Regardless of the treatments your loved one chooses, chronic pain can sometimes be a challenge to manage without assistance. 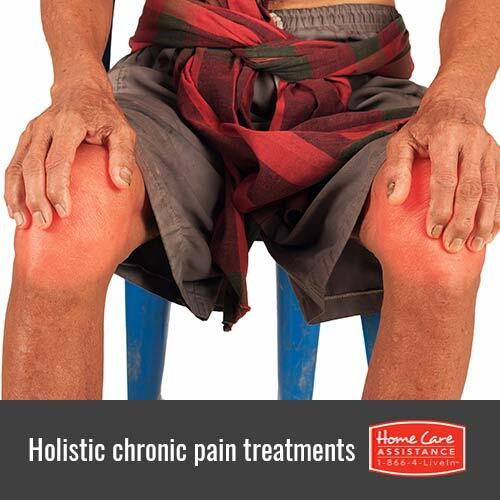 If chronic pain makes accomplishing everyday tasks difficult for your loved one, turn to Home Care Assistance. Our live-in and part-time caregivers in Guelph can assist with mobility, provide medication reminders, and help with many other important tasks. 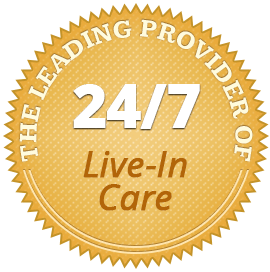 To learn more and to request a free consultation with one of our qualified Care Managers, call (519) 954-2111 today.